Dr Craig Cuyar is the Global Chief Information Officer at Omnicom Group, a Fortune 200 marketing communications company with 74,000 employees and $15.5 billion in revenue, with responsibilities for leading the IT organization and enabling an IT transformation that enables more innovative and client-focused technology capabilities. Dr. Cuyar is also a faculty member at Columbia University where he teaches graduate programs in Executive Technology Management. Cuyar has served as a CIO for a variety of professional services industries, including healthcare, advertising, and residential and commercial real estate. He was most recently the Global CIO of Cushman & Wakefield, a global commercial real estate services provider with operations in 58 countries and a diverse customer base ranging from small businesses to Fortune 500 companies. 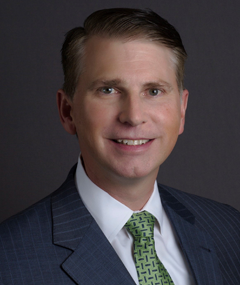 Prior to joining Cushman & Wakefield, Cuyar served as the CIO for the Realogy, a global franchisor of some of the most recognized brands in the residential real estate industry including Better Homes & Gardens Real Estate, CENTURY 21, Coldwell Banker, Coldwell Banker Commercial, ERA, and Sotheby’s International Realty. Cuyar holds a bachelor’s, a master’s, and a doctoral degree from The Pennsylvania State University and an MBA in Finance from Rutgers Business School. He is a regular speaker on the business value of IT and serves on a number of advisory boards in both the technology and professional services industries. He is also the current President of the New Jersey Chapter of the Society for Information Management. Cuyar has served as an adjunct faculty member—and has designed curricular materials for—various academic institutions. Omnicom's branded networks and specialty firms provide services in four disciplines: advertising, customer relationship management (CRM), public relations and specialty services. The services included in these disciplines are media planning and buying, digital and interactive marketing, sports and events marketing, field marketing and brandconsultancy. Omnicom was considered the second largest advertising holding company by The Wall Street Journal. The company employs more than 77,000 employees in over 100 countries worldwide.